ARTeX creates a wonderful opportunity for young U.S. artists as we look nationwide for drawings and paintings that explore this year’s theme with unlimited interpretation. The artwork is judged in three academic grade categories: K-2, 3-5 and Grades 6+ with first and second place plus Critic’s Choice winners chosen. All participating artists receive Certificates of Recognition. Young artists aged K-12 from schools, homeschool groups, museums, organizations, and families plus individuals throughout the United States are invited to participate in this year’s ARTeX competition. Art teachers, principals, PTA groups and other youth organizations can help students enroll. Download the forms and get started creating your masterpiece today! Use your imagination. Be colorful. Be creative. 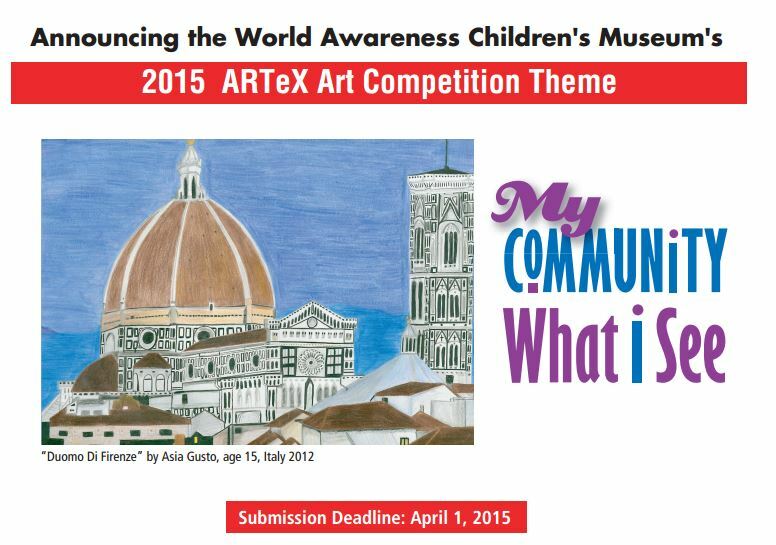 Click here to download our 2015 U.S. ARTeX Art Competition packet. If you are outside of the U.S., please download the forms available at our Non-U.S. page.